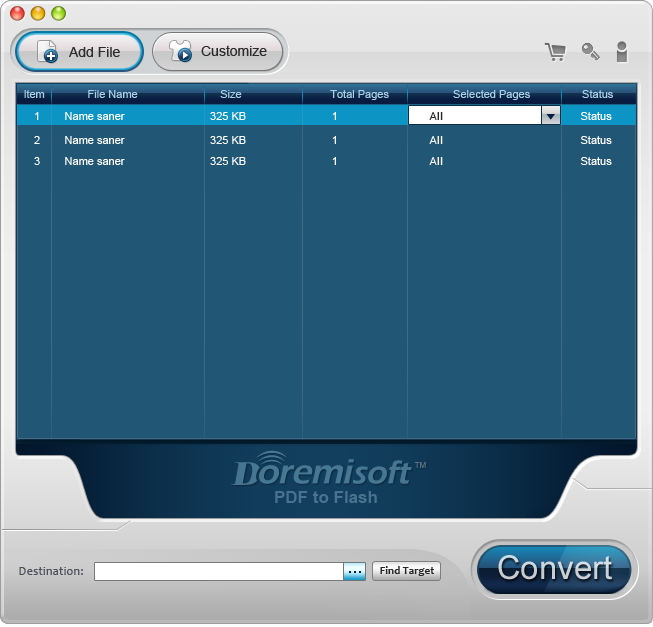 PDF to Flash Converter for Mac is a flash flip book creator, is developed to make flash book, flash page flip, flash magazine from PDF files on mac os x. Mac PDF to Flash Converter do flash flip book making through converting PDF to SWF flash video format, which assist you to change plain PDF files into dynamic ebook with a few mouse clicks.PDF to Flash Converter Mac also generate an HTML webpage embedded with flash flip book so that you can upload your self-made flip magazine to your website for sharing. Flash flip book creator mac offers you with many amazing flash player and preloader templates and you can choose one to beauty your flip book. And Mac flash flip book maker allows you to choose a Background color and reading option, such as Zoom in, Zoom out, Tablet of Contents, Enable Fullscreen.